Zoe Craig Why Are There Statues of Beavers On Top Of This Oxford Street Shop? There's plenty to catch your eye on Oxford Street; even more if you raise your gaze above shop level. 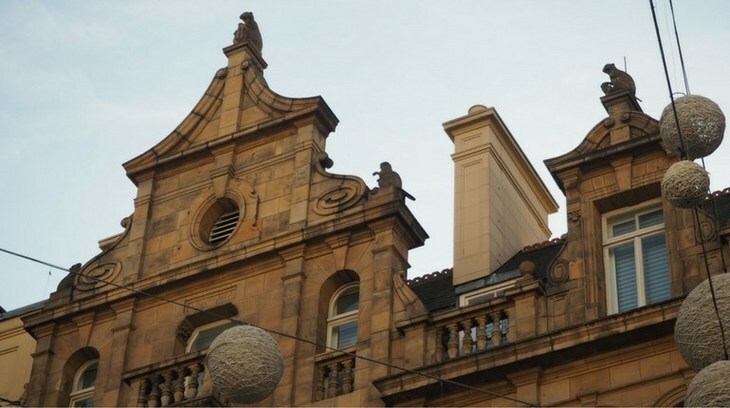 If you glance up at the top of 105 to 109 Oxford Street (the building currently home to Tiger and Footlocker), you'll see a strange quartet of creatures decorating the roof. Four beavers, the top one holding a scroll(! ), have been peering down on Oxford Street shoppers for 130 years. 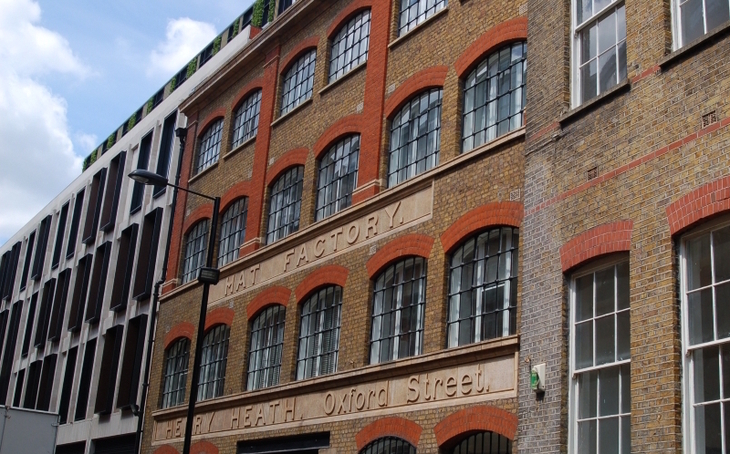 This is because 105 to 109 Oxford Street used to be Henry Heath's Hat Factory and for many years, the hats made here were felted with beaver fur. Photo courtesy of Secret London. Henry Heath's name and profession are still visible in a brick façade on the back of the former factory on Hollen Street. Henry Heath's hat factory from Hollen Street. 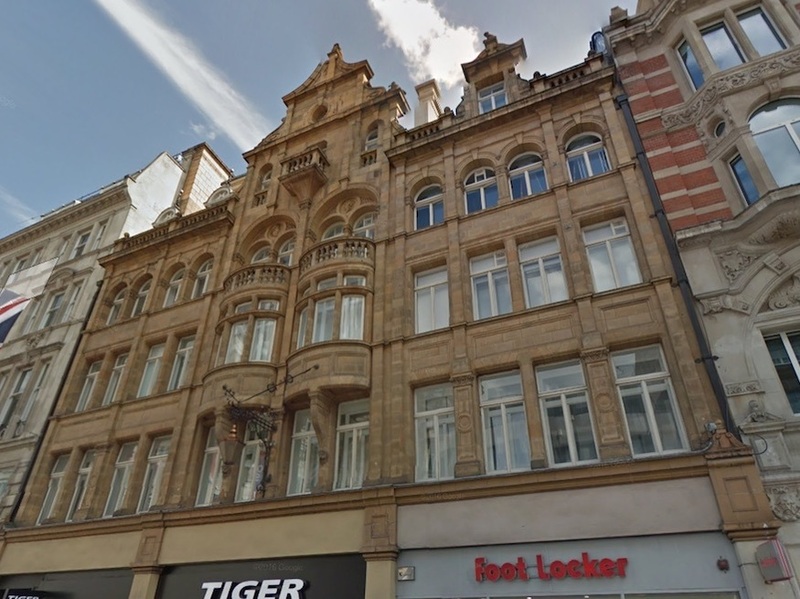 So why aren't there rabbits, or better still rats, on top of this Oxford Street architectural beauty? 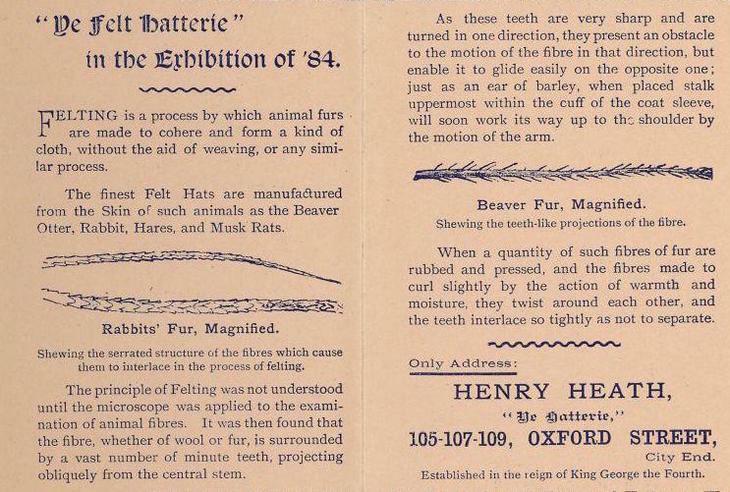 Well, beaver fur was preferred to rabbit fur in hat-making for its water-proofing qualities: in choosing beavers to top his factory, Heath was showing off the quality of his materials. Photo courtesy of Darkest London. 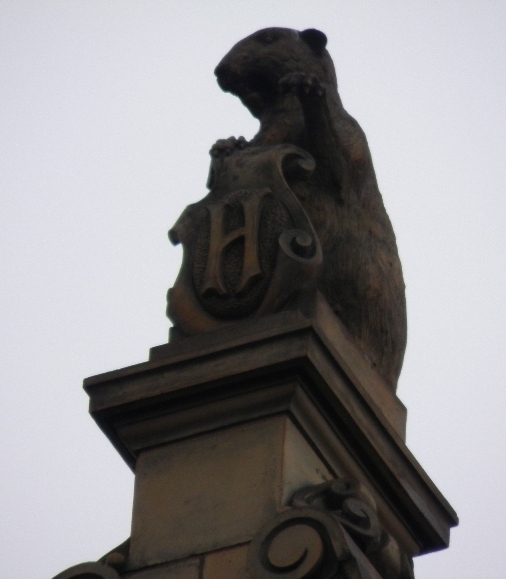 Beaver hats were a must-have for the fashionable English gent from the 1550s onwards. The European beaver was hunted to near-extinction for its fur in the 1600s, but the trade was revived when a Hudson's Bay Company started imports from Canada in the early 1700s. 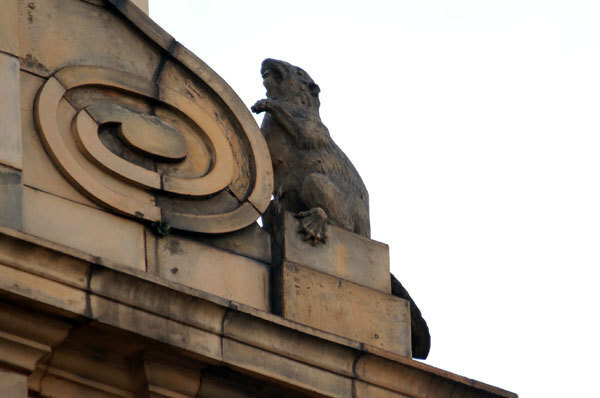 The four Oxford Street beavers sit on top of a factory that employed around 70 people. The company, it seems, started life back in George IV's reign in 1822; you can see a relief of George next to that date on the front of the building, alongside Queen Victoria, and 1887, the date the factory was built. An advert by Henry Heath from an American Exhibition, 1884, courtesy of the British Library. See the full ad here. According to his ads, Henry Heath refused to supply goods to any 'Co-Operative Stores', a bit like Kellogg's refusing to make cereals for anyone else. If you were buying a Henry Heath hat, you purchased directly from the factory, at cash price and customers could always rely on receiving 'business-like attention'. 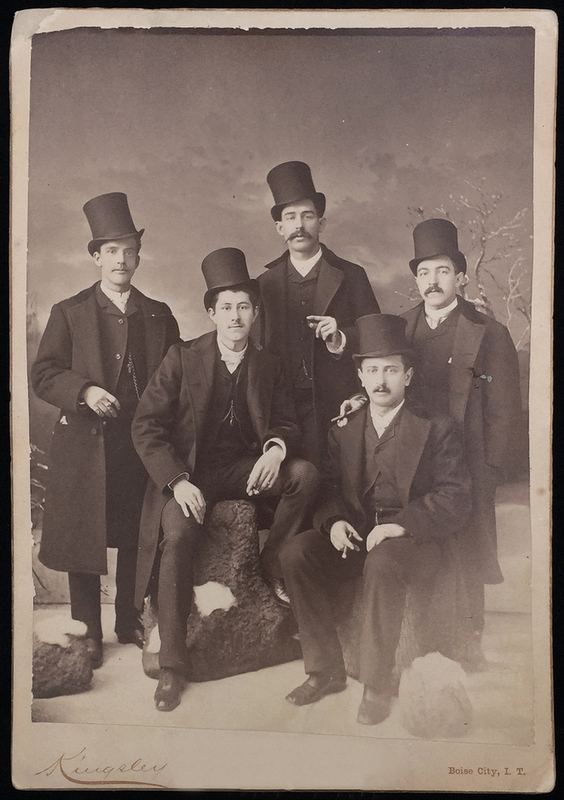 By the mid-1800s, silk was overtaking beaver pelt as the fashionable choice of finish for top hats. This can only have been a good thing, since working with beaver fur was having rather an unpleasant side effect on the people in factories like the one on Oxford Street. Men in beaver hats in 1886. Photo from the Kingsley studio. Factory workers soaked the skins in a orange-coloured solution containing mercuric nitrate; a process called 'carroting'. Vapours from the mercury poisoned the workers' nervous systems, making them prone to tremors, irritability, depression, paranoia, dementia and worse. By the time Heath's factory was built, the expression 'mad as a hatter' would have been in common usage. Sadly, the effects of exposure mercury were also widely known at this time; but it took a very long time for manufacturing practices to change.